Cynthia Trygier Interiors is an interior design business in Lansing, Michigan, specializing in high-end custom window treatments. With more than 30 years of sewing experience, Cynthia personally creates one-of-a-kind designs, featuring exquisite embellishments that make each custom window covering a work of art. Cynthia Trygier Interiors has been serving clients in both residential and commercial spaces, locally and nationally, for over 15 years. Cynthia has also worked with new homeowners and their builders, from the blueprint through construction stages, coordinating all the design details from space planning to floor, paint, furniture, and window covering selection. Cynthia is well respected in Michigan and across the country. 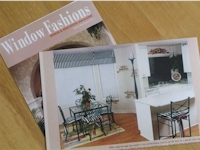 Her window treatments have been published in the industry’s trade magazine Window Fashions Vision. She has also participated in the Lansing Home and Garden Show. 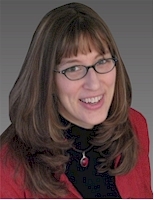 She has been a speaker to the Detroit Workroom and for national conferences to the trade. Cynthia has been featured in professional educational videos sold at the Custom Home Furnishings School. She regularly attends trade shows and conferences so she can offer her clients the best products and latest innovations for their windows. She is an authorized Hunter Douglas dealer and installer, attending premiers and workshops to learn about their newest product offerings for blinds and shades.